Milton M. Holland was an African American Civil War soldier who raised what was to become Company C of the 5th United States Colored Infantry in 1863 at the Athens County (Ohio) Fairgrounds. 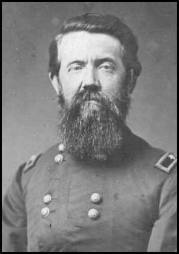 He was awarded the Congressional Medal of Honor for his bravery at the Battle of Chaffin’s Farm (New Market Heights). This is a living history presentation made by Anthony Gibbs, of Canal Winchester, Ohio, before the General Charles H. Grosvenor Civil War Round Table on March 14, 2012. It was co-sponsored by the Ohio Humanities Council. The recording was done by ACTV23. Edwin Bearss, author and Historian Emeritus of the United States Park Service, delivered The Helen and Foster Cornwell Memorial Lecture in Athens, Ohio, on 25 April 2004. It was a joint presentation of the Athens County Historical Society and Museum and the Ohio University Bicentennial Committee. General William Tecumseh Sherman was born and raised in nearby Lancaster, Ohio. He was the step son of Thomas Ewing, a member of the first graduating class of Ohio University. Ewing was also Sherman’s father-in-law, as WTS married his step sister, Eleanor Ewing.